We are fourth for states producing hurricane force winds, and in my lifetime alone, there have been 126 tropical, sub-tropical cyclones to hit North Carolina. Before I write anything else, I want to remember the ones who lost their lives in the storm, the ones displaced, the ones waiting to go home, those who are still in need. I can’t remember all of the hurricanes – mainly because I was very young when some came through, or their impact just didn’t leave me with any memory of them. And then, there are ones you don’t forget. There was Hurricane Fran in 1996 – I remember that one well. Upstairs in my bedroom, I could feel my headboard move when a strong gust blew. That distinctive cracking of large trees falling in the middle of the night? Burned into memory. We went without power for days. Then, after I was married, and we moved here to Dunn, and there was Hurricane Floyd in 1999. We lost a huge holly tree, and our basement flooded. We’d only been in the house a year, and had no idea it would. Ah, so that’s what those sump pumps were for…but with no electricity? Speaking of flood. It’s been said the predictions for rainfall here with Hurricane Matthew were underestimated, but no matter, because flooding would have occurred at the 8-10 inches they’d forecasted. We’d already had at least that much the week before. And instead, this time we got something more like 12 inches, or 14 – depending on who you listen to. We lost our internet and phone service first. Yes, hallelujah for cell phones! We also have a generator – one strong enough to plug in both refrigerators, TV’s, a couple lamps, and the most important item of all…the beloved coffee pot. We have a gas stove, so we could cook by using a lighter to fire it up. We didn’t have hot water – but who’s trying to win a beauty contest? The generator once it got cranking provided us those few amenities, and despite being LOUD as a yard blower inside your house, it was well worth it. Sections of I-95 are closed down – right at our exit. They (DOT) are diverting traffic off of the interstate because of flooding. Here I was, driving North (I don’t think I was supposed to be – notice NO CARS) while Southbound is being diverted – right on into my town of Dunn. There are things one does during times like this. Without power, you still flip on light switches as you go into a room. You watch or listen to the Weather Channel 24/7. You drive an hour and half to find a bag of coffee. You wait in line at McDonald’s for two hours. You stare out the window at the storm and pray. And.. you realize you’re not as prepared as you thought you were. Here are some trees down in the “hood.” It might be kind of hard to see unless you click on the picture (?) but either way, one tree down looks like any tree down – if only they had missed those doggone wires. Here’s a funny story. The night we got our power back on, I had just said “I love our generator, but I’ll be glad when we can shut that thing off.” Blip. Two seconds later, the lights came on. I wish my husband had taken a picture of my facial expression. I wanted to go around and turn on EVERY light in the house – just because I could. I grinned like a fool for hours. WE still don’t have internet or phone service. I’m posting this via a little wifi hotspot. I feel grateful. And sad. And conflicted. Good riddance Hurricane Matthew. We will never hear your name again. You took good people from their families, and friends. You scared the hell out of us. And you’re one storm I will remember. 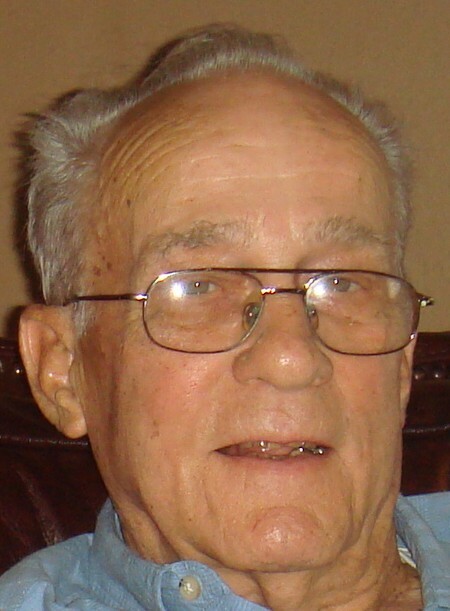 My father passed away March 3rd. I spoke at his funeral Monday. This is what I said. This is the sort of life changing event that knocks the breath right out of you, doesn’t it? We hear about an illness and never seem to comprehend the difficult times ahead. We try to understand, but, it’s hard to even imagine a day like this will come. And yet, it has. And here we are. The one thing that came as no surprise is that when Allen and I talked about what we would say, we discovered we both had a common theme to our messages about Dad. His gentleness. And his simplicity of life. That old saying “salt of the earth,” is so fitting for him. It’s a phrase used to describe someone who is a very good, worthy person. In the Sermon On The Mount, Jesus tells his followers, who were mainly fishermen and simple people, “Ye are the salt of the Earth.” Dad’s gentle simplicity is what stood as a strong and unwavering fact in the way he lived his life. He spoke quietly, he lived quietly. He was non-confrontational, and would rather not say a word than react. He was calm and even tempered, and I honestly can’t say if I ever heard him raise his voice. He was a no fuss kind of guy, preferring things to be easy going. He was practical and sensible. He didn’t want or need a lot of things. I mean, most of you here would know how he liked to re-use items. He’d say things like, “Awww, it’s alright, there ain’t nothin’ wrong with it. I can use this.” I mean, this could have been referring to just about anything. Minute items like nuts and bolts, or bigger things like tires, wood, air conditioners, lawnmowers, car parts, the list goes on. You all know how he was, a genuine recycler, a McGyver sort. He could take just about anything, and turn it into a working object. He made an aerator out of an old drum, some spikey things, and then fashioned a homemade hitch to pull it around. 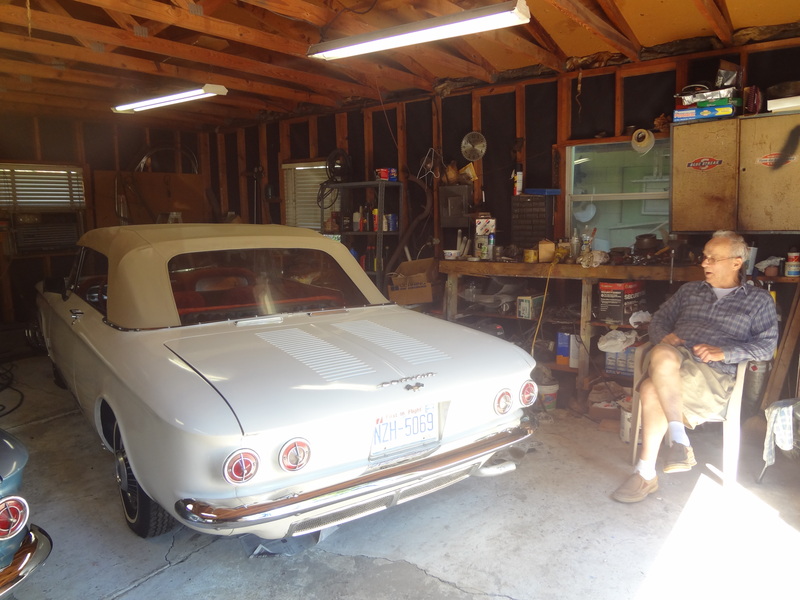 He brought home the body shell of a Corvair from the junkyard. That car is now completely restored, with an engine built by him. It runs today. Dad also loved going to Maine, and to the beach. He loved going to Allen’s house in Pleasant Garden, and to our house in Dunn, but we all knew he was happiest at home. As he got older, and when he was no longer able to putter around in the garage as much, he’d sit outside on the screened in porch, always in his chair, watching the comings and goings of birds and squirrels, and simply enjoying being outside. I’m pretty sure that was in association with THOSE DOCTORS. As you know, he had kidney failure, yet he didn’t want dialysis. Too much fuss, no port in the arm, no sitting in a clinic for hours on end. He wanted no part of that. Dad was always a bit at odds with doctors. He loved his chiropractor though, and all other white coated individuals could take a hike. The fact he was able to spend his final days at home, in the house he built, inside and out, was really the only choice for him, and mom understood that. She was prepared to care for him, do whatever it took to keep him here. She made sure he was where he wanted to be, in his home, and in familiar surroundings. The second week in February, I went with him and Mom to see the kidney doctor. Hospice had been recommended, and Mom wanted to verify just what that meant. How much time did we really have? I’d been reading stuff online, because you know you can just about find anything using Dr. Google. It said, generally, six months. She’d talked to her friends at the spa, and they’d said the same. We’ve come to the conclusion he kept a lot of how he felt hidden, never letting on how bad it was, and I’m sure it was intended to lessen the burden on Mom. Because, again, that’s how he was. 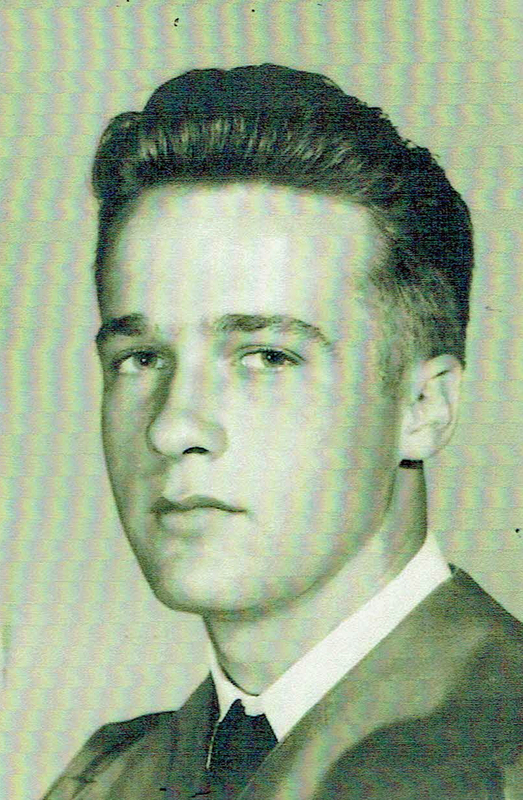 As I think about Dad, the most persistent thought I have is that he was so quiet. Yet, when I think about the effect he had on my life, it’s profound in the fact he was always there, a constant, stable, and continuous presence. I think of it like this; he was like a shadow, and, if I looked back over my shoulder, there he’d be, quietly letting me find my own path, never in the way, simply a part of me. And while we understand our time here is finite, recognizing the impact a person has on us is never so obvious until they’re gone. We have the nagging awareness of it during an illness, yet when reality comes, it’s overwhelming. We know he didn’t want to go. He would have rather stayed here, with Mom and the rest of his family, more than anything, and he just couldn’t. So, it seems fitting he left us in the way he lived his life, gently, slipping away quietly, without a fuss, like the sun disappearing behind a cloud. Now, there is no shadow of him with me, with us. Instead, we have to look forward, not back, because he has moved on. We believe his presence will be felt when we remember and look back on his life, his capacity to love quietly, yet immensely. He wasn’t the demonstrative sort, but if you went to him, he would always welcome you with gladness. These are the things I will always remember. That and our love for him and each other.